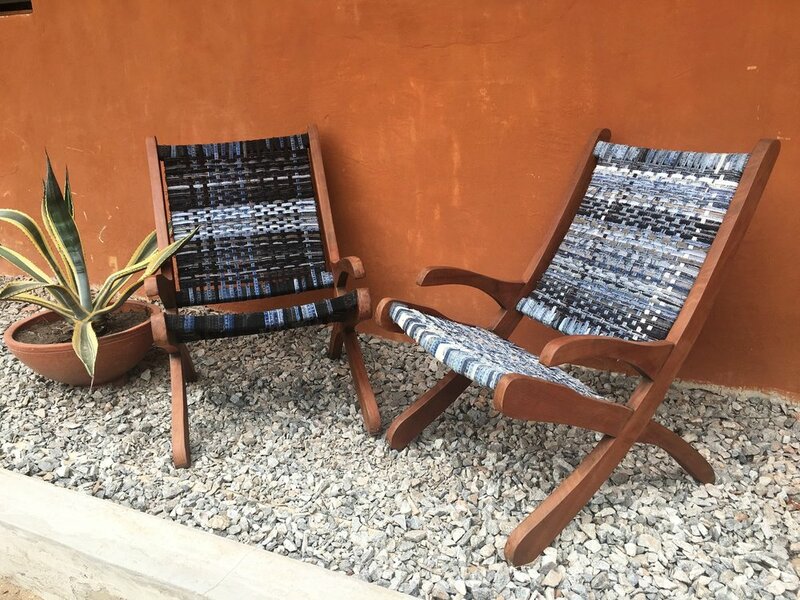 DENIM WOVEN CHAIRS: Made in Ghana at Kokrobitey Institute. Recycled denim seams were woven on six found chair frames. The denim seams were cut from jeans and a select few were either bleached or dyed black. I led a 2-day workshop with my co-workers where a total of 6 chairs were woven.